Deborah Korenstein studies the impact of unnecessary medical tests and investigates ways to help doctors recognize how the tests can harm patients' well-being. Unnecessary medical tests are usually framed in terms of cost. But they can impair a person’s quality of life and also provide a false sense of certainty. The overuse of medical tests has become a focal point for healthcare experts seeking ways to control costs. But unnecessary tests can also profoundly affect a person’s quality of life. This problem is especially acute in cancer treatment. Sometimes an imaging or diagnostic test will detect something that ultimately proves harmless — but only after an anxious patient has had many more tests and treatments. 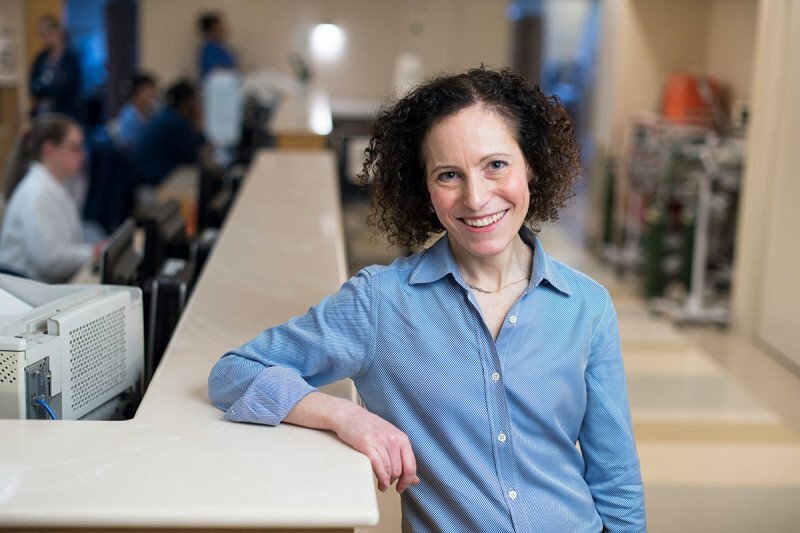 MSK internal medicine specialist Deborah Korenstein has been involved nationally in studying medical test overuse and developing better ways to address it. The research has involved interaction with doctors in all fields of medicine — not just cancer — at many institutions. We spoke with her about helping doctors and patients understand unnecessary testing. Why is unnecessary medical testing so common? A big part of it is the cultural landscape of medicine. Doctors have subscribed to the idea that something is better than nothing. During training, we’re taught not to miss anything. Senior doctors will grill junior doctors about whether you checked for this or that. A person in medical school or fellowship rarely gets in trouble for having done too much or for ordering too many tests. These factors are magnified in cancer, since the consequences of missing something can be serious. What is an example of a medical test causing even more unnecessary testing and treatment? An imaging test, such as an X-ray or PET scan, often shows something that looks abnormal but is not threatening. But it will lead to further tests that cause their own problems. For example, I know of a completely healthy older woman living in New York whose primary care doctor did a chest X-ray. It’s not clear why he did this as she had no symptoms. The X-ray showed a nodule on her lung, so they did a PET scan, which showed the same nodule. They were worried about lung cancer, so they did a bronchoscopy. Something went wrong, and it caused severe hoarseness that required her to stop talking for weeks and to go to speech therapy. They were still concerned about cancer, so they took a biopsy, which required an incision in her chest. It tested negative for cancer, but they were worried it might be tuberculosis, so they kept her in isolation over a period of weeks. It was negative for that as well. So because of the chest X-ray, this woman had multiple tests, a piece of her lung taken out, all this anxiety, and terrible hoarseness that needed treatment, and none of it benefited her in any way. Of course, this is an extreme case, but it illustrates the problem clearly. Much of what we do in medicine is manage uncertainty. Doing tests can give you a false sense of certainty because the tests themselves aren't perfect. How do you convince doctors to change their practices? The issue of costs and resources doesn’t really resonate with doctors. Their overriding concern is what is best for the patient. But overuse of medical testing can cause harm to the patient. A key factor is shifting the focus away from cost toward how it affects patients’ health and well-being. We recently developed a “conceptual map” — a diagram — to clarify how overused tests and treatments result in negative consequences for patients. It was published in JAMA Internal Medicine. The map shows that an overused test or treatment can lead directly to short-term or long-term negative effects across many areas. These include physical, psychological, financial, and social aspects, and others. The graphic also illustrates how an overused test or treatment triggers further tests, leading to more negative consequences. It becomes an ongoing feedback loop. We wanted to shine a light on all this and help doctors appreciate the possible drawbacks of doing a test unless there is a good reason. We hope they will be able to better communicate this to patients. It’s not just health problems that can be caused, it’s also disruption to routine. People care a lot about being able to do normal activities, like going to work and spending time with their families, rather than coming in for more tests or being admitted to the hospital. How do you address concerns that not doing a test may cause doctors to miss something? Doctors operate out of caution and concern, but thinking in terms of missing something is often the wrong way to approach it. Much of what we do in medicine is manage uncertainty. Doing tests can give you a false sense of certainty because the tests themselves aren’t perfect and don’t ensure that you will not miss something. I think the answer is talking about the uncertainty more and learning better ways to manage and appreciate it. For example, for one of my patients I might choose not to do a test and instead say, “If these symptoms occur, I want you to call me right away. Otherwise we’ll see how you’re doing a month from now.” We’re trying to facilitate better care, not just by reducing overused tests but by emphasizing more appropriate care. Dr. Korenstein’s work was supported in part by the Cancer Center Support Grant P30 CA008748 from the National Institutes of Health/National Cancer Institute. Bravo Dr Korenstein! What an important and difficult topic to champion. I've seen so many patients harmed from overuse of tests and services, and unfortunately it is difficult to convince them, or really anyone for that matter, that it was avoidable. I understand this is a problem, but in the example given.... of course, hindsight is 20-20. How frequently does that small nodule turn out to be malignant, and then this “unnecessary” test would have likely saved her life (like with Ruth Bader Ginsburg... twice now) I’m guessing that there was some reason for ordering the chest X-ray in the first place, and if we wait until patients are classically symptomatic it’s frequently too late to save them. And I’m guessing that the woman in this case has no ill will toward those who conducted what turned out to be unnecessary testing — the only one likely angry is the company required to pay for it. My cancer spread to stage 4 because my symptoms were too non-specific (gassiness, bloating, mild cramping, etc) — even a simpler blood test would have certainly discovered it months earlier. I’m not suggesting that we test asymptomatic individuals — only that we allow physicians some leeway regarding when those tests are justified (and not look back when they turn out not to be and question their right to have done the testing based on the outcome). Dear Sheryl, we’re sorry to hear about your diagnosis. Thank you for sharing your thoughts and your experience and best wishes to you. I am NOT a cancer patients. But have had many biopsies due to Calcification & other Abnormalities. They are being recommended too frequent now. Can I get an evaluation or Second Opinion at MSKCC even though I haven't been diagnosed with Breast Cancer? My Insurance is Medicare & Aetna PPO. 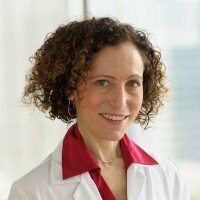 Dear Wilma, if you are interested in coming to MSK for a consultation, you can call 800-525-2225 during regular business hours or go to https://www.mskcc.org/experience/become-patient/appointment for more information. The experts who staff our Patient Access Service will be able to answer your questions, including questions about insurance. Thank you for your comment and best wishes to you. I am a doctor and I totally disagree with this approach. Her comments make me think if she is actually practicing and seeing patients. Lung cancer will not give you symptoms until it is too late! The fact that the biopsy went wrong has to do the competency of the doctor who was doing it! I think she is asking the wrong question. Yes, we are overusing tests because : 1) we live in a society where the patients don’t trust the doctors and they are looking for opportunities to sue you , 2) the insurance companies pay you to spend only 10 min with the patient so you end up ordering tests because you didn’t have the time to actually examine them, talk to them and take a good history, 3) we don’t have universal medical records so we have no idea what the primary ordere last week and we don’t have time to find out so we order the same test again etc. Unless we address these issues, overordering of tests will not stop. Regarding the issue of what you do with an “incidental” finding, involving the patient is important in the decision is important. We should present them with the guidelines, offer our clinical experience, discuss the risks etc. You cannot play God and decide that you will not investigate a lung nodule.